The Acupuncture Therapy division of North Adelaide Physiotherapy are pleased to offer acupuncture/dry needling therapy/treatment to the North Adelaide commuity as well as the surrounding suburbs of Prospect, Medindie, Medindie Gardens and Walkerville. We specialise in the practice of dry needling as an alternative treatment option for your injury. Acupuncture is a form of treatment which involves needling to altered or dysfunctional tissues in order to improve or restore function. This may include needling of myofascial trigger points (over contractile muscle tissue), periosteum (lining of bone) and other soft tissues. The North Adelaide Acupuncture clinic utilises very fine sterilised needles in the practice of acupuncture, and relies on the stimulation of receptors in the target tissue for its therapeutic effect. Acupuncture is a very safe from of treatment and a large percentage of patients report improvement of symptoms the day of receiving acupuncture/dry needling treatment. Don’t you deserve the opportunity to feel healthier and happier with acupuncture provided at North Adelaide Physiotherapy? Not only is acupuncture aimed at decreasing your pain from acute and chronic injuries, headaches, neck pain and low back pain, but you will feel lighter, have increased physical mobility and a greater awareness of your healthy body and immune system, and enjoy greater mental clarity. Contact us to discuss the suitability of this treatment for you. Improve range of motion & joint flexibility. Promote tissue regeneration, reducing scar tissue and improving nerve flow. Our clinic is available to consult from 7am to 7pm Monday to Friday. 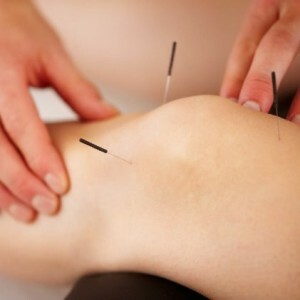 Call now on 1300 661 971 and ask about our new patient offers on acupuncture/dry needling.